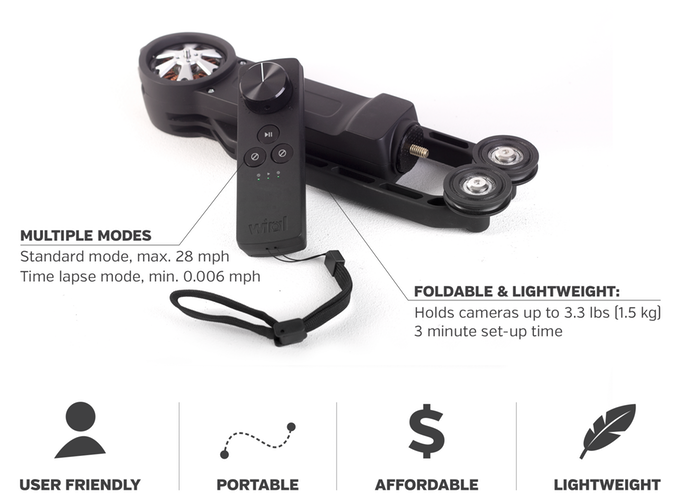 Wiral LITE is the first gadget to bring professional videography into your hands. 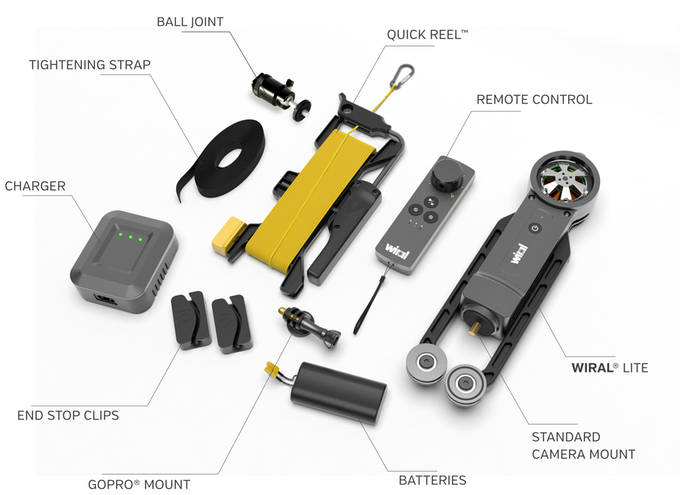 Wiral LITE is a line cable cam device. The camera is a easy mount set up for creating a unique video like a pro camera when doing the cable cam capture. It is very light as the name goes and support your phone as well. You set up the cable which Wiral LITE rolls on holding the camera on the route it has to roll on and let Wiral LITE do the job. It proves more productive than drones and it is quite affordable. 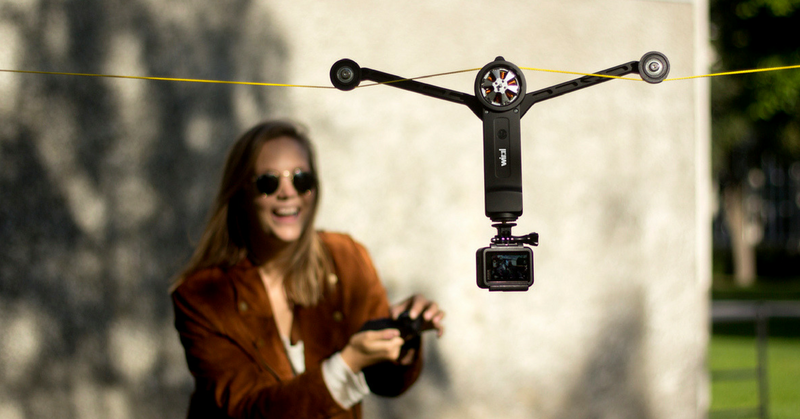 Universal Camera mount – this holds camera devices including your phone weighing up to 3.3lbs. Cable – This a flexible line in which the mount rolls on while capturing the video. Remote control – Switches to different modes and speed. End stop clips – Holds one ends of the cable. Tightening strap – Scales the cable to tight. Watch video on how to setup Wiral LITE below.